Need some dirt, sand, or gravel material? Call Mears Sand and Gravel at 225-665-1830. 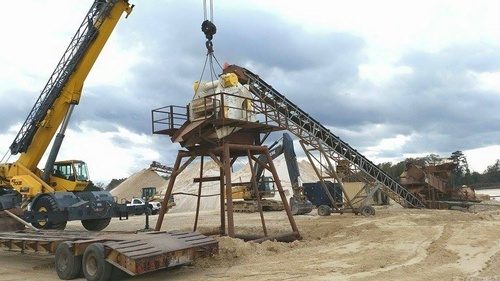 Mears Sand and Gravel has been providing Southeastern and South Central Louisiana with quality, Louisiana-mined aggregate materials for over 33 years. Mears Sand and Gravel, in its third generation of family ownership, has the knowledge to meet all of your aggregate material needs. We are a proud supporter of our local schools and community. We have several products that include several types of gravels, sands, and bedding material. Check out our prices and call us today. There is nothing we would like more than to help your aggregate needs. Proud to serve Livingston Parish and surrounding areas. Monday-Friday 3:00 a.m. to 4:00 p.m.